Inventory management is an important asset for any organization and even our homes. Inventory management helps us to stay organized and to run things smoothly. 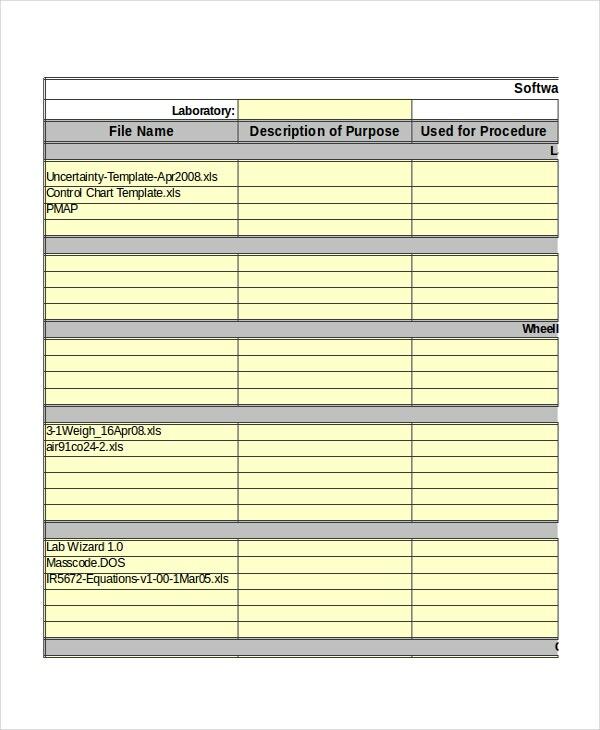 Application inventory templates are a great management tool and are very useful for tacking your inventories. You can keep track about a product performance, smoothly manage your stocks, can avoid any critical situations. To save your time and money, we have provided internal link anchor texts to some most important application inventory templates. You may also see IT Inventory Template. Tracking the software database is crucial in the corporate world. It’s a great management tool that tracks all the hardware and software purchases and it helps in keeping record about stored data and content about the software. You may also see Food Inventory Template. Computers are a vital part in today’s word. All the large or small organizations have several computers in their offices. 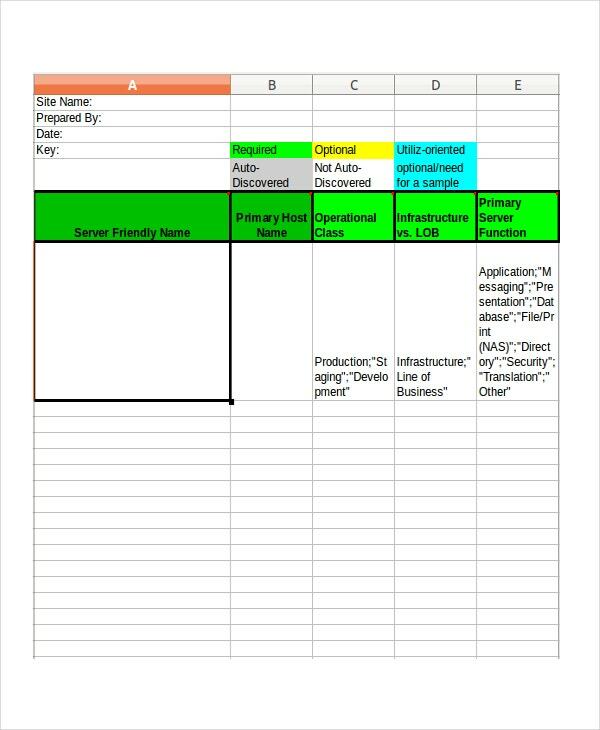 Server application inventory templates are used to store computer number, IP address of systems, CPU, Register number, BIOS, etc. By clicking on the below link, you can download the server inventory template in excel form. Application portfolio inventory template helps save time and money, as application portfolio management can take up to 70% to 90% IT funds of a company. Some of the things application portfolio can help in are, managing vendor relationship, analyzing the impact of a change to an application in your portfolio, identify overlaps and gaps in IT capabilities, etc. 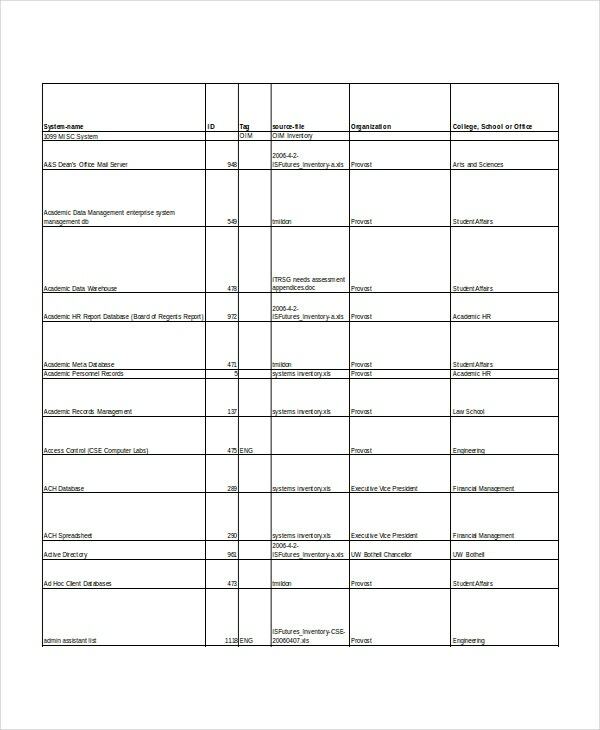 This template includes information asset details about the organization and its programs and the level of protection. You can download the free sample by clicking on the below link. This template helps in identifying all the software or hardware components used by an enterprise. This is a great way to run things smoothly in a big or a small scale enterprise. You can download a free sample from the below link. Items: First thing to include in the template is all the items in the inventory. Every product should be included in the template. Item description: The template should include the description of the items. The description should include the developer, category and version of the items. Purchase information: The template should include the purchase information such as the purchase cost and supplier about all the mentioned quantities. Sale information: The template should include the sale information of all the mentioned items. The sale information is required to keep the performance of the items. 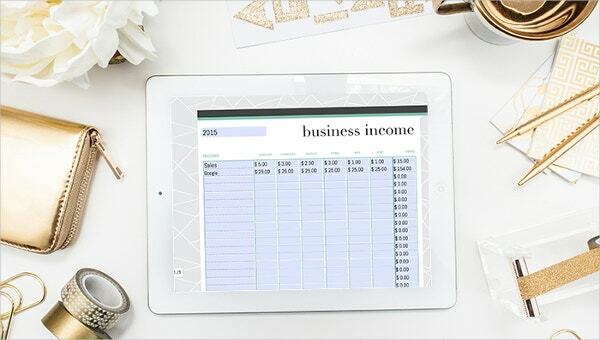 The best tool to create an inventory template is Microsoft Excel. Excel is an extremely versatile tool especially for businesses and therefore using it to make inventory templates is an easy way to cut costs, save time and organize inventory. To make an inventory template, the best way is to first create an application profile template by creating an application and importing an inventory list of existing applications. Then assign access to an application by creating a scan from an application and associate existing scans with the application. Also, it is best to convert your data based on sales quantities, it is an easy way of tracking the products. 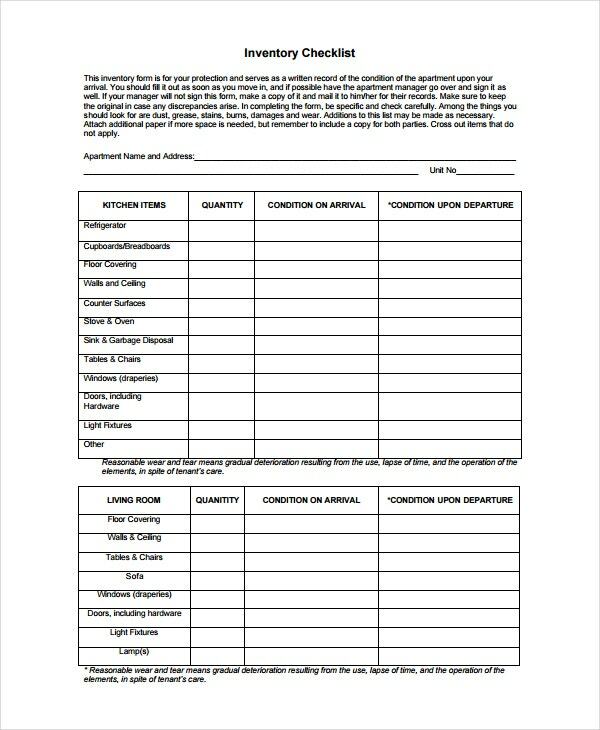 You may also see Supply Inventory Template. 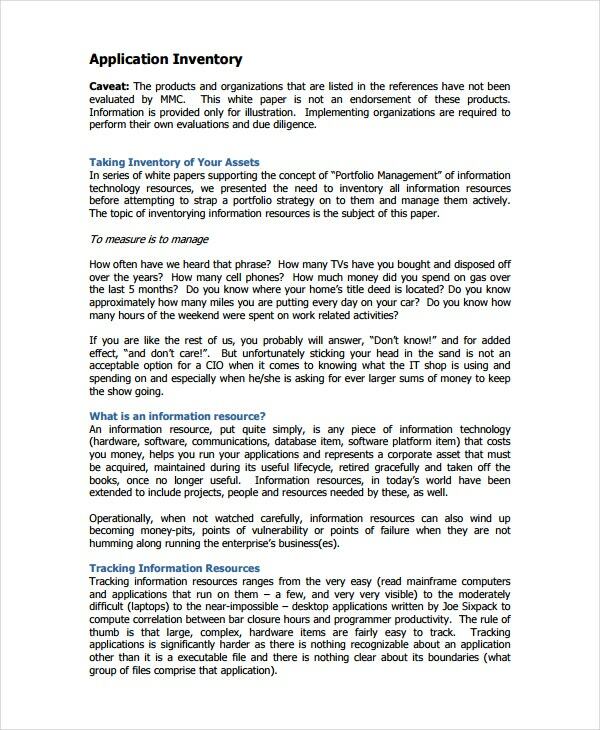 Application inventory templates are important for both organizational and personal requirements. Application inventory templates are essential for organizing and management purposes. 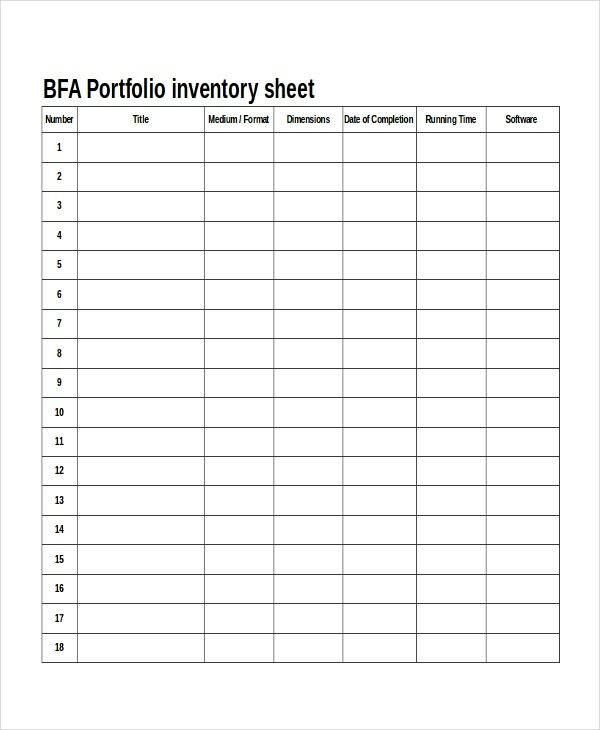 But there are some other basic benefits of action inventory templates that an organization or an individual can gain by using them: You may also see Computer Inventory Template. Order Management: Tacking inventory helps in keeping track of your orders. You can identify when an item needs to be reordered and can identify an item’s performance. Business Statistics: Inventory management helps in understanding business statistics. You can identify best and worst selling items and can also identify your top suppliers. Save Time and Money: Inventory management helps to save money and time. You can avoid any crucial condition or loss for your company. Inventory template allows easy data entry and to keeps records of sales and product details. 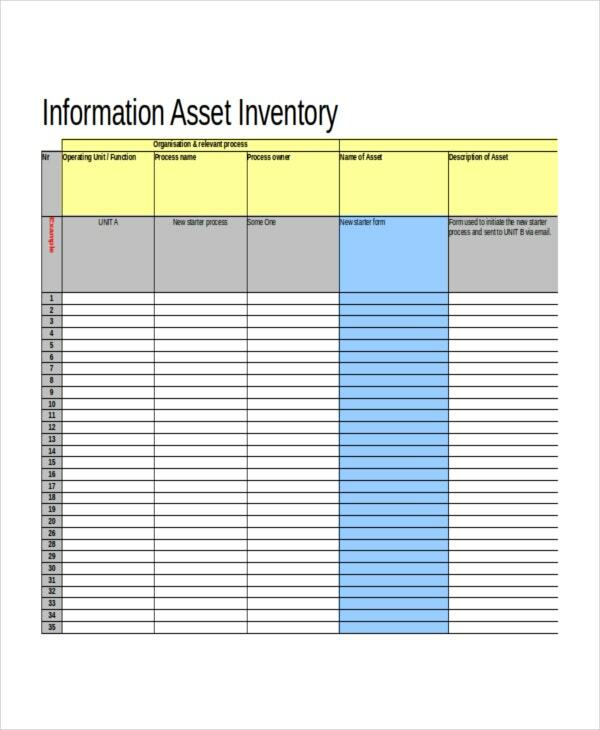 To keep and manage inventory in an organized way, you need to use an inventory template. To avoid confusion and loss of your organization, you need to have managed records of your stocks. These templates are easily editable and save time and money. They can be downloaded in many formats like Excel, PDF, RTF, PSD and XPS. The software inventory template is the most used inventory template. Software template is used by most IT companies and professionals, to save all the details of the software.